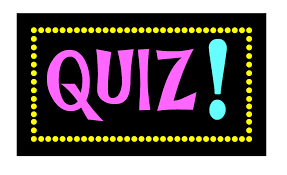 RETIREMENT IQ: CAN YOU PASS THE QUIZ? “To help assess your knowledge of these critical issues, the American College Center for Retirement Income recently released its retirement income literacy quiz, a series of 38 questions that test your knowledge about these important decisions. If you understand them, you’re much more likely to have a financially secure retirement and avoid outliving your money. Almost three-quarters of respondents failed. To get a passing grade, you need to answer six out of 10 questions correctly — admittedly, a low bar. Only 5 percent scored a B or higher, answering at least eight out of 10 questions correctly. The average score 47 percent of questions answered correctly. Americans have little knowledge about preserving assets and sustaining income for a long retirement. For example, only a little more than one-third are aware that 4 percent is considered a “safe” amount to withdraw from savings each year in retirement. Many overestimate the safe withdrawal rate. Respondents lack knowledge of the best strategies to improve retirement security as they approach retirement. For example, just one-third understand that it’s more effective to work two years longer or defer Social Security for two years than to increase contributions by 3 percent for five years just prior to retirement. Older Americans also have a limited knowledge about long-term care. For example, less than 30 percent know that family members — not nursing homes, assisted-living facilities or hospitals — provide most long-term care services. Americans know very little about annuities, which is unfortunate because annuity strategies are one way to enhance retirement income and make meager savings last longer. For example, just 17 percent know the lifetime income payout rate for a 65-year-old male is roughly in the 6 percent to 7 percent range, significantly higher than the “safe” 4 percent withdrawal rate from invested assets. “The survey report also uncovered a critical disconnect: Even though many Americans failed the retirement income quiz, almost three-quarters said they’re confident about their retirement finances. Clearly, many Americans have a false sense of security and need a retirement reality check. “If you’re retiring in your early- to mid-60s, you should plan to make your money last for 30 years or more. But living that long on just your financial resources won’t be easy. That’s why your new ‘retirement job’ is to spend the time and effort needed to live for a long time and not go broke. The retirement literacy quiz is a great place to start: Each question explains the right answer, so it’s a valuable learning experience.